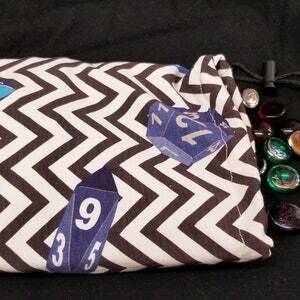 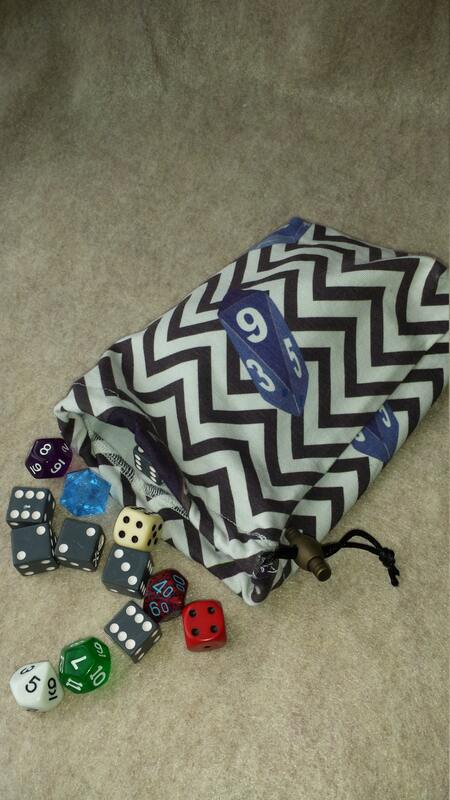 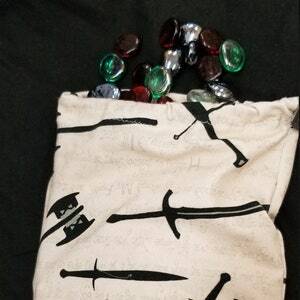 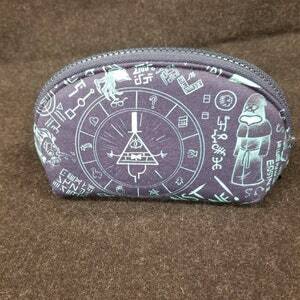 Features a custom limited edition print with some different styles of gaming dice. 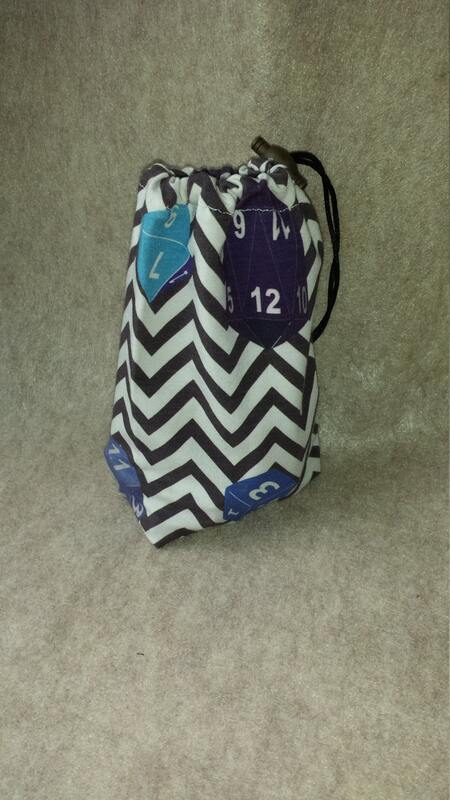 Bag has a drawstring top with satin cord and cord lock. 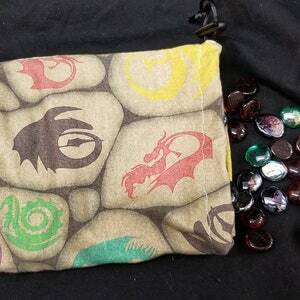 Bags are unlined but have fully overlocked edges.